Are you due for an upgrade? When STEP Members contact me for technical help on using our online services, the advice I provide is often based on the operating system of their computer. Most members are using a recent version of Windows but some are still running Windows XP, which increasingly is going to affect how you access STEP’s online tools. 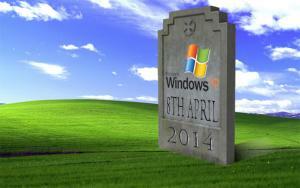 End of life – this is for retired products such as Windows XP and Office 2003 and does not offer ANY bug fixes or security updates without a paid contract. This means that if an issue occurs that requires a software update then it will not be provided unless you have an expensive contract agreement in place. With the recent Heartbleed exploit making headlines, it reminds us just how serious security breaches can be. Although patches weren’t required for Windows XP or other operating systems in this instance, there are no guarantees that this scenario won’t occur in future. An up-to-date IT set up will ensure you’re best placed to make full use of STEP’s online tools. If you have any queries about Windows XP or our new Web Events site and how to access it please feel free to contact me. James Harris is STEP’s Information Technology Manager. STEP only has a presence in one of the four fast developing MINT nations – a chapter in Mexico, with no presence for STEP in Indonesia, Nigeria nor Turkey. There are good reasons for the lack of a presence in those last three. STEP is not strong enough to develop everywhere without getting developmental indigestion and, anyway, needs to focus on completing its offer in already established jurisdictions such as the US, Germany and Australia; as well as on building a high standard of consistency across all existing STEP jurisdictions. Thus when invited to participate in a focused trade mission lead by the Lord Mayor of the City of London, Alderman Fiona Woolf, looking at legal and financial services, the opportunity for medium-term analysis at low cost to STEP was difficult to resist. Representing the City of London in the broadest sense, the Lord Mayor runs a number of small trade delegations to explore new opportunities for London business. The visit was an opportunity to understand how the fastest growing West Asian nation might be a strong bet in the medium term, but how political uncertainty poses challenge in the short term. Turkey has seen GDP growth at 9%, 8%, 2%, 6% and 6% over the last five years, with a 5.2% average growth between 2002 and 2011. There is now a substantial middle class primarily founded on family businesses grown in Anatolia, as Turkey becomes one of the world’s leading producers of agricultural products, textiles, motor vehicles, ships and transport equipment, construction materials, consumer electronics and home appliances. There is also a big shift from state to private sector, although the state still plays a major role. 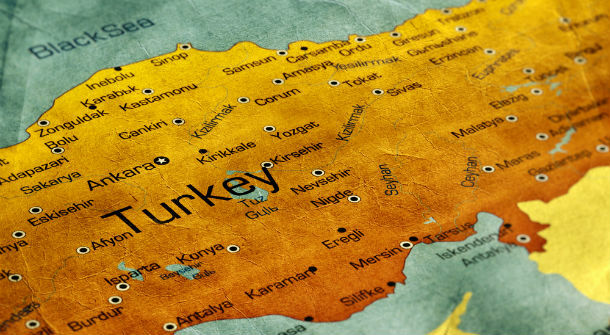 Of course, presently Turkey faces political challenges, with the rumbling conflict between secularists and the more conservative supporters of Prime Minister Erdogon, with myriad crosscurrents beneath. It’s no wonder that few of those that I met are looking at big investment decisions this year. Most will wait for current issues to quieten down, yielding hopefully to a degree of greater certainty. The Turkish legal system is built on a codified approach derived from German law, with rigorous forced heirship, reinforced by Ottoman cultures with Sharia principles. This, of courses, poses an enormous challenge for family business succession and effective wealth transmission. The chair of Istanbul’s embryonic finance centre shared the view that thousands of family businesses will be transitioned across the generations in the next few years. However, short of a public listing that at least offers the chance for family members to take their money and exit, there are few real ways to build family enterprises for the long term and there are no secondary markets for smaller businesses. Litigation amongst family members is common and often vastly damaging to business prosperity. It’s simply not in any way straight-forward to organise family wealth to ensure that the common family wealth vision can be developed across the generations within the family. For inheritance purposes everybody gets their allotted share in an extremely rigid way. The Turkish legal profession, on the other hand, is somewhat more informal; working largely on the principle of ‘get a degree, put up a shingle’. As members of the impressive executive committee at the Istanbul Bar Association explained for us, anyone with a law degree can practice, which, of course, discourages high standards and subsector specialisation. The group of officers and leaders of the Istanbul Bar, whom I met, are pushing hard against government policy. They want entry exams to the profession to be compulsory as any of us would find in most countries where STEP members do business. So Turkey is a tough prospect for STEP and there are many other priorities for STEP and easier opportunities. This means that Turkey probably will not see a STEP chapter any time soon. However, while discussions with a range of stakeholders suggest that legal and professional changes won’t come today, they will come. The explosive growth of family enterprise means, I suspect, that Turkey will come knocking at STEP in the next five years and offer powerful network opportunities to STEP members, not just across Europe, but wherever Turkish families do business. I look forward to it. A critical new online security exploit dubbed ‘Heartbleed’ was announced on Monday night after being discovered by a member of the Google security team. The vulnerability is widely considered to be one of the most serious security flaws in the history of the internet and has been potentially exploitable since December 2011. 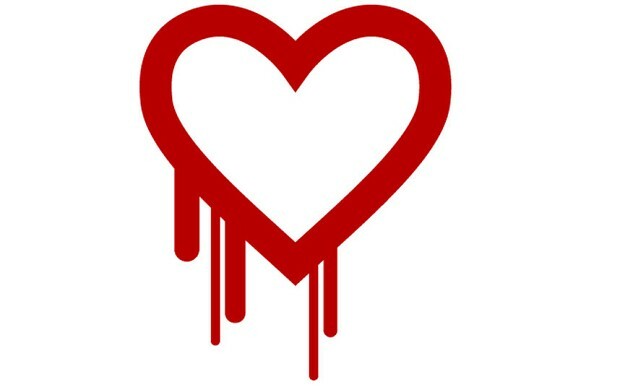 Heartbleed affects the coding used to secure websites (the https:// part of a secure web address), which is estimated to be used in more than 60% of all secure websites around the world. Heartbleed works by intercepting the ‘heartbeat’ component of the code that allows a server and client to maintain a connection, thus earning the exploit its name. The exploit allows an attacker to reveal the contents of a server’s memory, which can include private information like usernames, passwords, credit card numbers and contact details. It can also allow an attacker to impersonate the server they are compromising. The good news is that there is already a fix available to resolve this issue and the majority of website hosts have already applied it, however it is also necessary for users to change their passwords before the security of their personal information can be assured. What does this mean for STEP? Not all websites have made the necessary security changes. Until the host of a website resolves the issue, changing your password will not offer you any protection. If you are unsure as to whether a site has applied the fix you can use this checker. You can also find a list of high profile UK websites and their statuses here and other popular websites here. If you use any of these websites you should change your password immediately. Again, STEP has taken measures to protect the website and our members’ data from Heartbleed and there is no indication that it has been compromised. The most important thing to remember is to change your passwords on websites that have fixed the problem. If a website is yet to fix the problem, wait until it has done so before changing your passwords as they will still be vulnerable. If you have any queries about Heartbleed and what you need to do please feel free to contact me. O ne of the recent debates on the Trust Discussion Forum has been about the circumstances in which a lasting, enduring, continuing power of attorney can properly be handed over. To whom does such a power of representation belong? When does ownership pass from the granter to the grantee? One solution can be to agree with the granter — at the time of the creation of the power — the circumstances when the power can be given to the grantee. We do of course have similar problems with wills and other documents. In many civil-law jurisdictions, the original will is not released by the holding notary, but he produces an inheritance certificate based on it. In jurisdictions where executors or administrators are appointed, the will may well belong to these Personal Representatives (PRs) once the testator has died. Professionally, what information is it proper to release? Once we have seen an original death certificate, the will belongs to the PRs. Before we have seen an original death certificate, we must not release the will. Can we confirm the identity of the PRs? Probably not. Can we confirm that we do hold an original will for a particular testator? My firm has recently received an enquiry about a particular will, from a commercial will register operator that extensively markets its will searching service. After questioning, it appeared that the relevant testator had not yet died, but that the company had been instructed by a relative to locate the original will. Does our duty of confidentiality under the STEP’s Code for Will Preparation in England and Wales extend to the existence of the will? Our conclusion was that, in general terms, we should not reveal the existence of a will to anyone other than our client until we have seen an original death certificate. Is this too restrictive? Can’t you see you’d be a fool to cling to me? Richard Frimston is Co-Chair of the STEP Public Policy Committee and Chair of the STEP EU Committee. 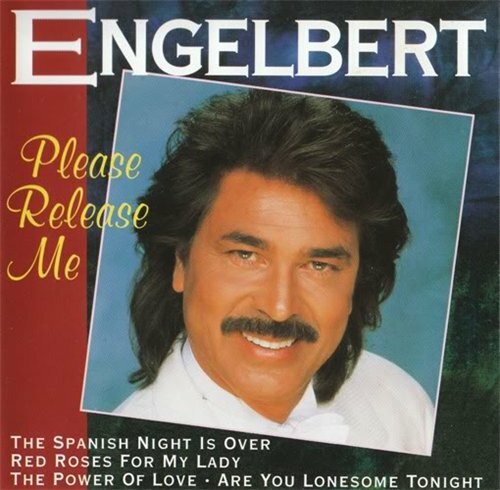 He is a Partner and Head of the Private Client Group at Russell Cooke LLP and — as the title of this blog post suggests — has an affinity for the musical styling of Engelbert Humperdinck. We will always have our favourite reference books and much-thumbed precedents, however the world is constantly moving forward and the ‘Google it’ age is upon us whether we like it or not. I’ve decided if you can’t beat them, join them! You may have noticed that STEP has recently revamped its website. If you have not taken a moment to look at it then I would suggest that you do because there are a number of tools available that could all become invaluable in practice. The first on the list for me has to be to make sure that you are subscribed to the STEP News Digest which provides excellent coverage of new cases, tax updates and legislative changes that might affect our working practices. UK and International digests are released twice weekly with North America and Latin America digests alternate every other week. All STEP publications/reports and news can be located under the Resources tab. Under the Policy tab you will find the consultation tracker and this informs you which bodies STEP are currently in consultation with (together with the responding Committee) and also provides details of their responses. If you feel particularly strongly on any issues arising please provide feedback to the team – the tracker is very much an indication of work in progress and your opinion counts. In recognition that members of the public may wish to know more about your designation, they now have a dedicated area of for the public to explain more. The more you explore, the more you find: it is fantastic to find other TEPs from all over the world, to connect to your branch and find out what events are being held, and that is to name but a few. Take a look and see what you can find. STEP would be grateful for any feedback/thoughts of what would further help the TEP in practice. Contact them and let them know what you think.